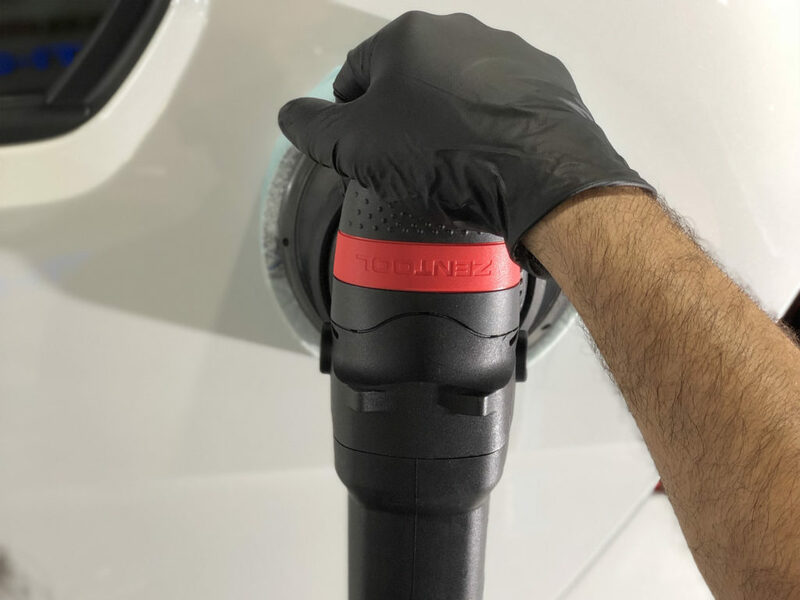 Zen Automotive and Optimum Car Care have worked together to come out with an impressive detailing tool, the Zentool ZEN-21E2. Below you will find a complete overview of this new tool directly from the experts at Zen Automotive. If you are interested in picking up this unit, click here as it is in stock and ready to ship! The new Zentool ZEN-21E2 is the result of a mountain of R&D. 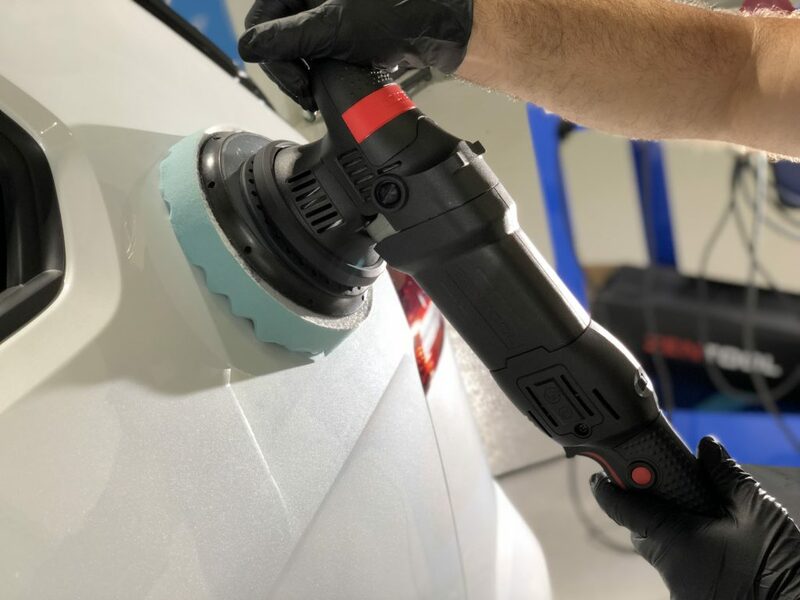 Using their experience and customer feedback from the first generation Zentool polishers, the design team at Zen Automotive Suppliers set their sites high. The goal was simple to say, difficult to accomplish. Create the smoothest, quietest, user friendly long stroke dual action polisher on the market today. And they succeeded. Starting from the cord, everything was changed. The cord is now an ultra flexible and soft SJO cord, 10 feet long. 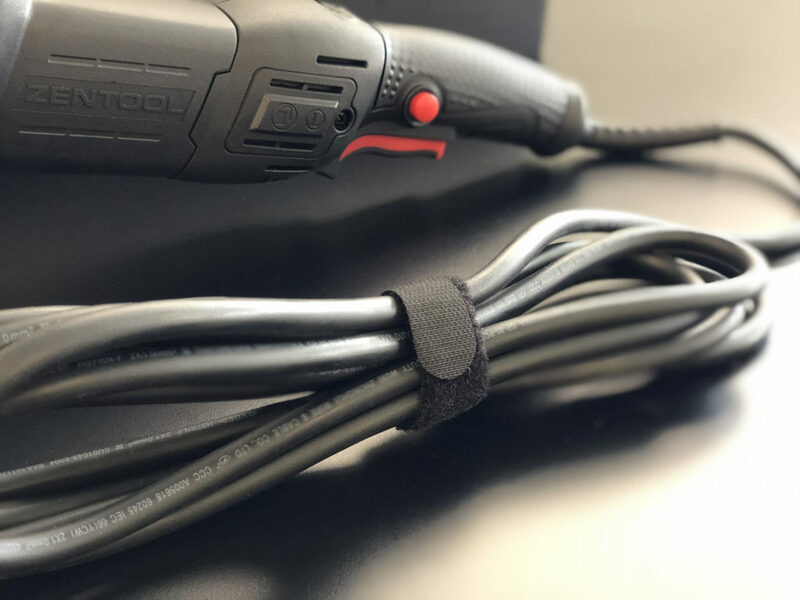 To make it last longer and foster good storage habits the Zentool even comes with an attached Velcro cord keeper, no more cord wrapped around the body of the tool. The tool body was a big part of the new design. User ergonomics were the main consideration, solidity and quality of materials came next, with the aesthetics of the tool also weighing in. The handles are comfortable, and textured to allow for better control without the need for a strong grip on the tool. The front handle was given a lot of attention and testing. It’s a composite structure that is quite thick, this thickness is there for 2 reasons. The Zentool is designed by Detailers, and detailers know that tools get dropped, so while it’s not unbreakable, it’s very durable. One other feature of the casing is externally accessible brushes. Brushes are the part of any tool that requires the most maintenance. Making them easy to access without having to disassemble the casing is another great little attention to detail. Inside the casing is a where the real magic happens. Connected to that supple power-cord is a simplified switch and speed controller. The designers managed to make the wiring simpler, and even more reliable, the less connections you have the better it is. Those controls are connected to a more powerful 600w high torque motor. This little jewel of engineering runs cooler, creates more power, and does so with a generator friendly 300w less power consumption. The armature is dynamically balanced on a state of the art machine that reduces vibration from the motor. The fan design was changed to increase airflow and cooling, while reducing sound. The precision machined gears are cut in such a way that they are always in contact, further reducing noise and vibration. The gear casing is filled with a high quality lithium based grease for long life and cooler running. 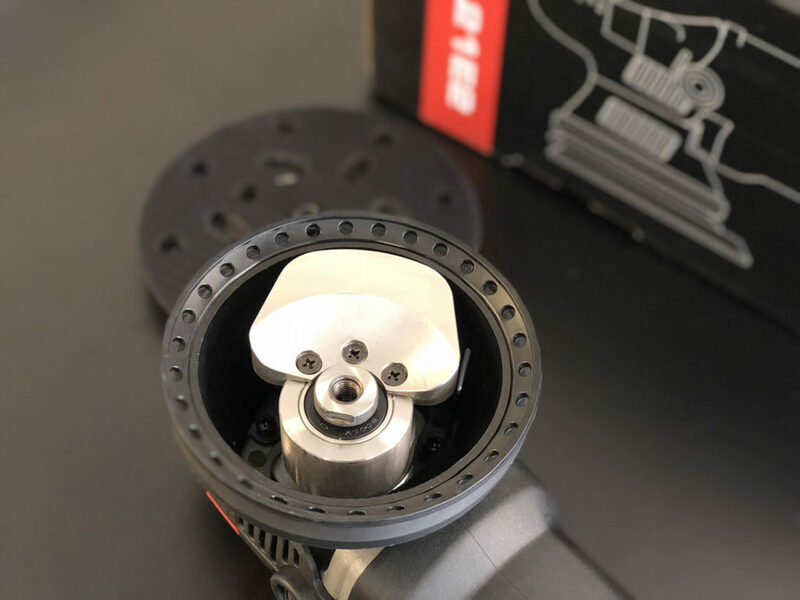 The business end of the Zentool ZEN-21E2 where it converts all that rotation to a 21mm dual action is a thing of beauty. Precision machining meets computerized modeling to make an offset counterweight assembly that is a thing of beauty. The design team managed to increase the rotating mass, this means smoother running, and not as pad weight dependent to maintain that smooth vibration free experience detailers need. Having a higher rotating mass allows the Zentool to work comfortably with both the included 5 and 6 cross ventilated backing plates.